Now this is a super duper hard-working skirt (which I have) that you can wear with black/white/pink/lilac/yellow/blue….Sweaters for now, tees/cami’s for later and lots of different shoe options to boot. If you don’t like the pleated style, then this is a much more streamlined option which also comes in Tall and Petite. Swap the white tee for a sweater and layer up with a coat or leather jacket. 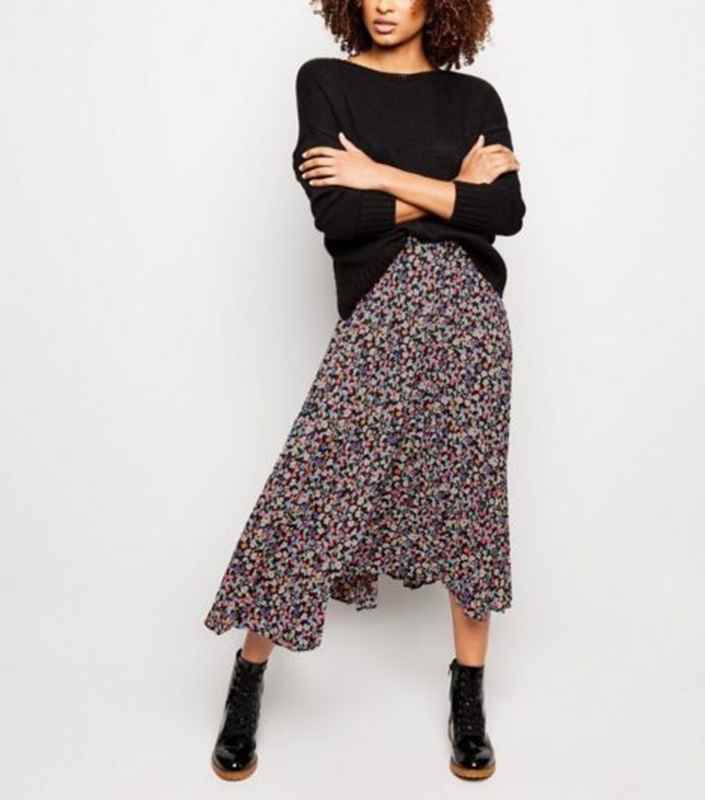 Now this may be jumping the gun slightly as it does feel a lot more springy than the other options but pair this with a snuggly and fluffy white sweater and tan/white boots and you can definitely do this now. Ditsy not your thing? 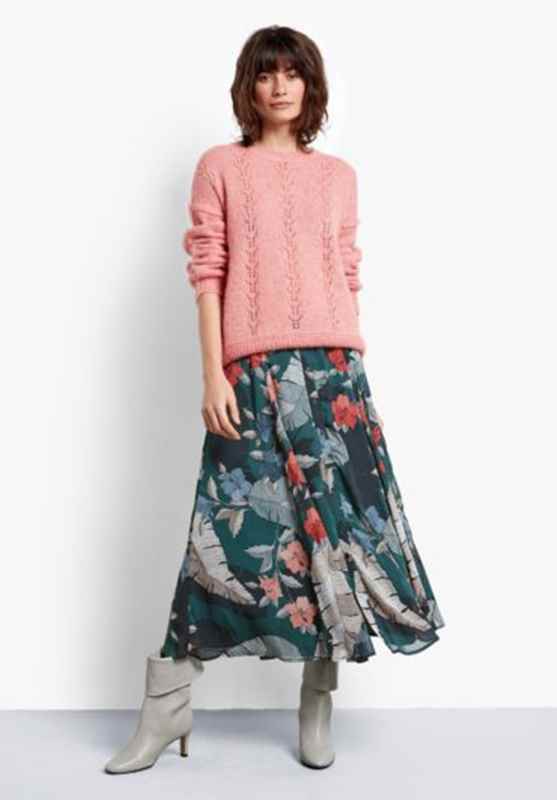 Then go for this eminently swishy skirt which is gorgeous with light pinks, corals or grey if you want to stick to neutrals. 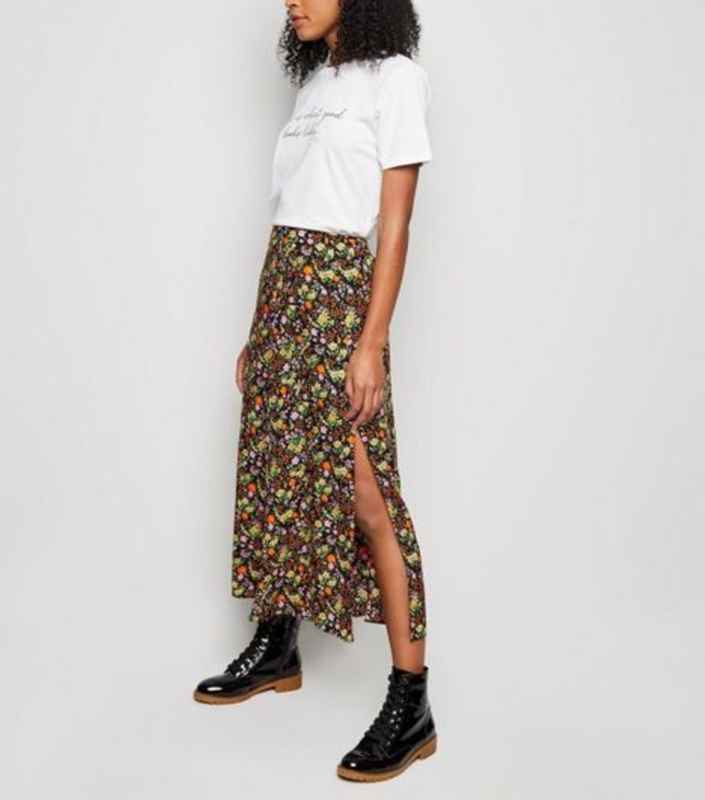 This print does also come in dress and top form if you’re not sold on skirts. 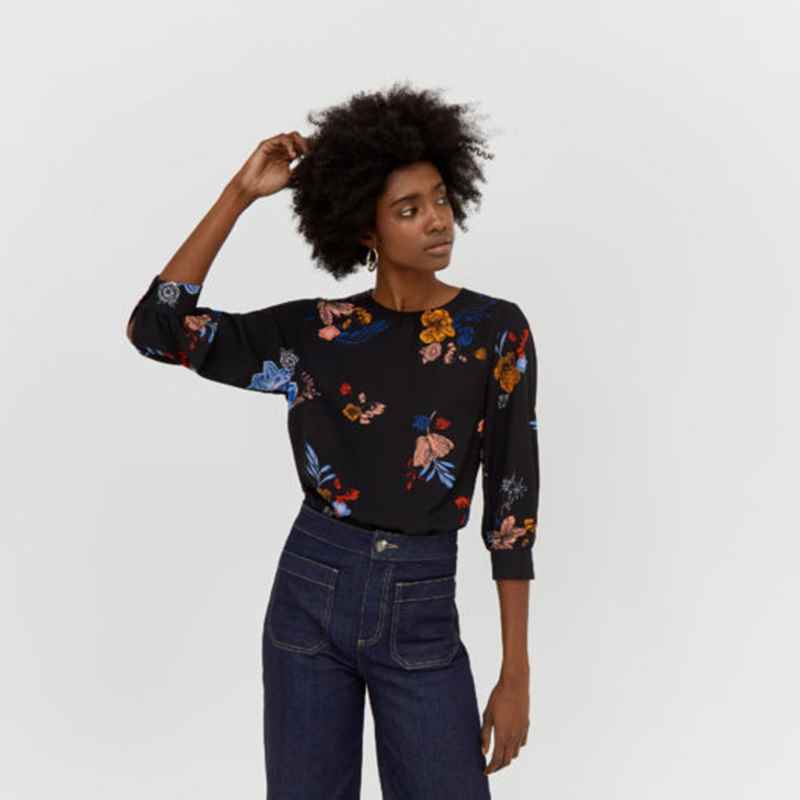 This is a gorgeous print that you can pair with lots of different coloured and styled top halves to work year round. And with gathering just over the middle, it is a more streamlined option than a fully pleated style. These two navy options are extremely wearable – smart enough for work but casual enough that trainers and a chunky sweater would also be perfect. Long boots for now and sandals for the summer: this will work year round. There is also definitely a trend for yellow based floral prints on a black ground. 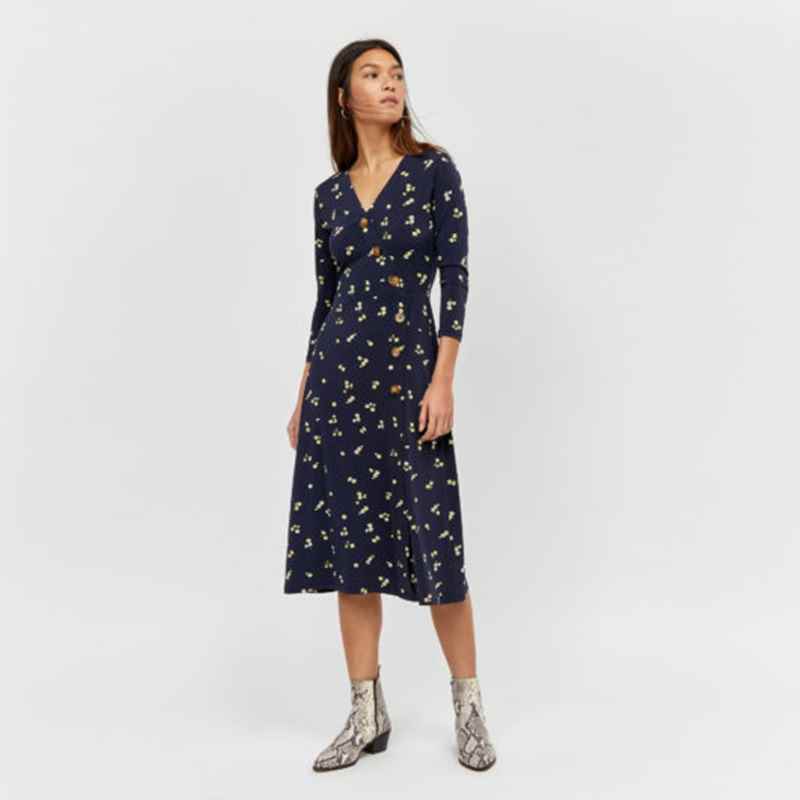 They really aren’t very imaginative with their product names but that doesn’t detract from the fact that this is a stunning dress that you can pair with a sweater and boots for now, with heeled sandals for a party or the summer or trainers for everyday. I’m a sucker for a swishy skirt. This is one of the things that &Other Stories is very good at so it is hard to pick only a couple of options. But this style is up there as one of my favourites. It also comes in a couple of other print options. 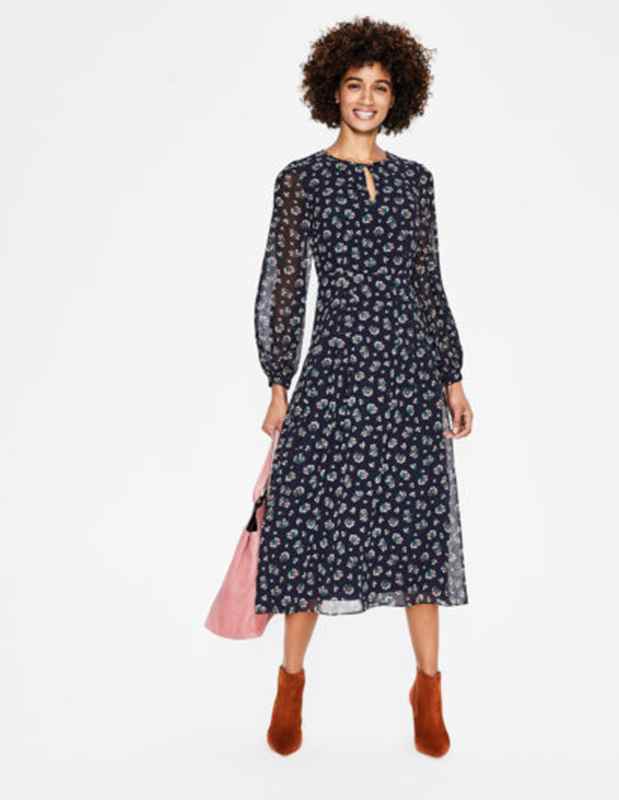 This is the other style I very much like and it too, comes in other prints. Love the styling with the creamy boots. This will bring a ray of sunshine to a dark winter’s day. Pop some Uniqlo Heattech thermals underneath, tights and boots and you are set for now. But swap for bare legs and trainers come the spring. 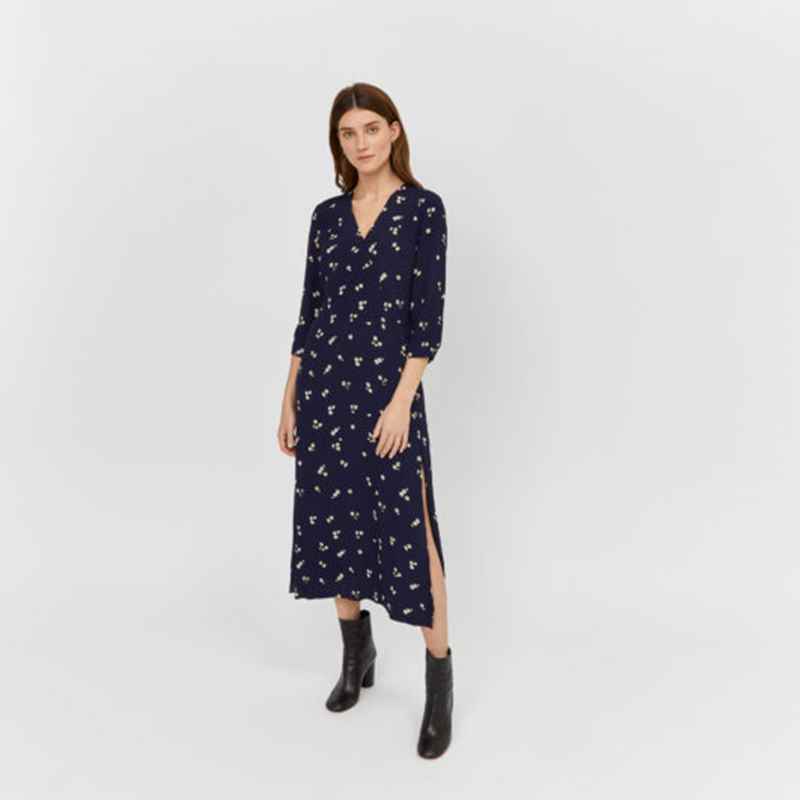 This comes in both navy and green based prints and also regular and petite lengths. 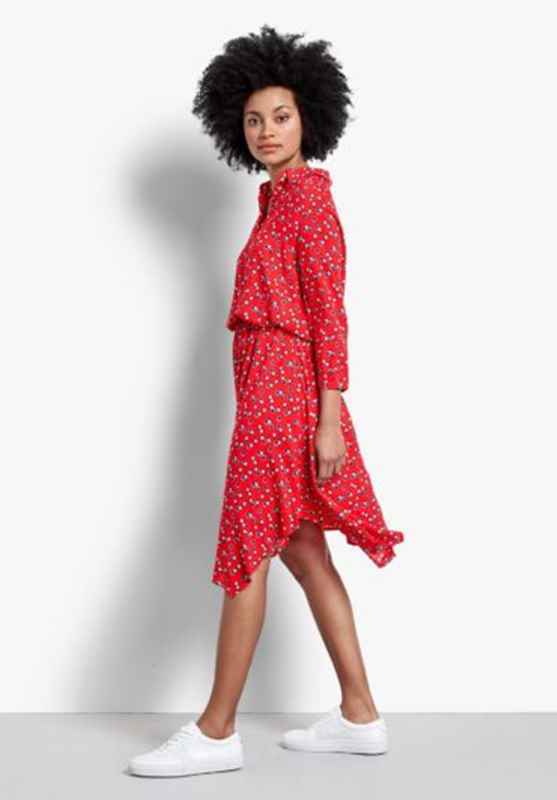 Work the colour clash trend in this Finery dress. 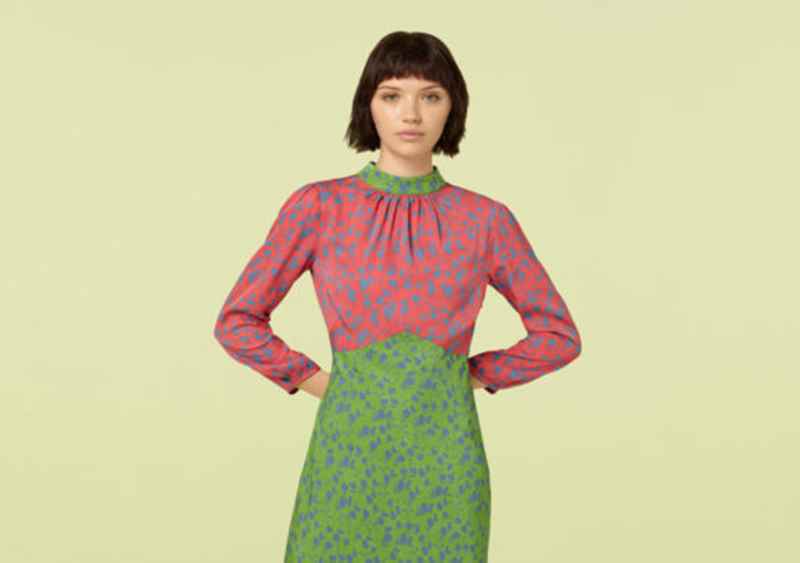 It also comes in a less loud colour combo with a black and white ditsy on the top half. Now this brings a smile to my face – I love the pop of colour that allows this sweater to firmly straddle several seasons. 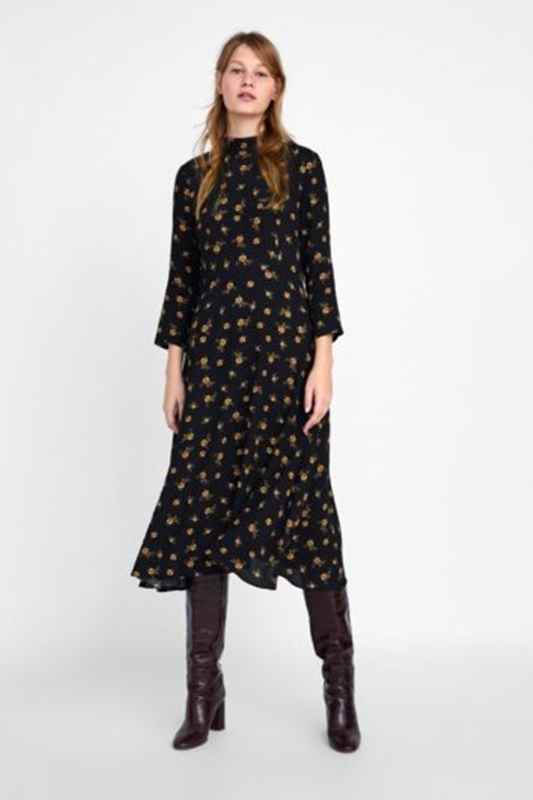 Wear now over coated leggings, with a black midi or mini skirt and gradually bare more flesh from ankle upwards! This is a striking print which will bring the perfect amount of punch and colour to a pair of black trousers for the office. This could be just what you need for a night out. It would equally work as a jacket for the office or as a lovely summery option with shorts, jeans or trousers. I’m feeling decidedly more spring-like. Are you?